Zumba takes the “work” out of workout by mixing great music with low-intensity and high-intensity moves for an interval-style, calorie burning dance fitness party! Once the Latin and World rhythms take over, you’ll see why Zumba Fitness classes are often called exercise in disguise. Super effective? Check! Super fun? Check! Zumba is perfect for everybody and every body! It combines all elements of fitness; cardio, muscle conditioning, balance and flexibility while giving you boosted energy and a serious dose of awesome each time you leave class! Wear comfortable clothing and athletic shoes. Please bring a small towel and a bottle of water. Drop-in fee is $8. Mollie got hooked on Zumba when her friend Shanna invited her to her first Zumba class. 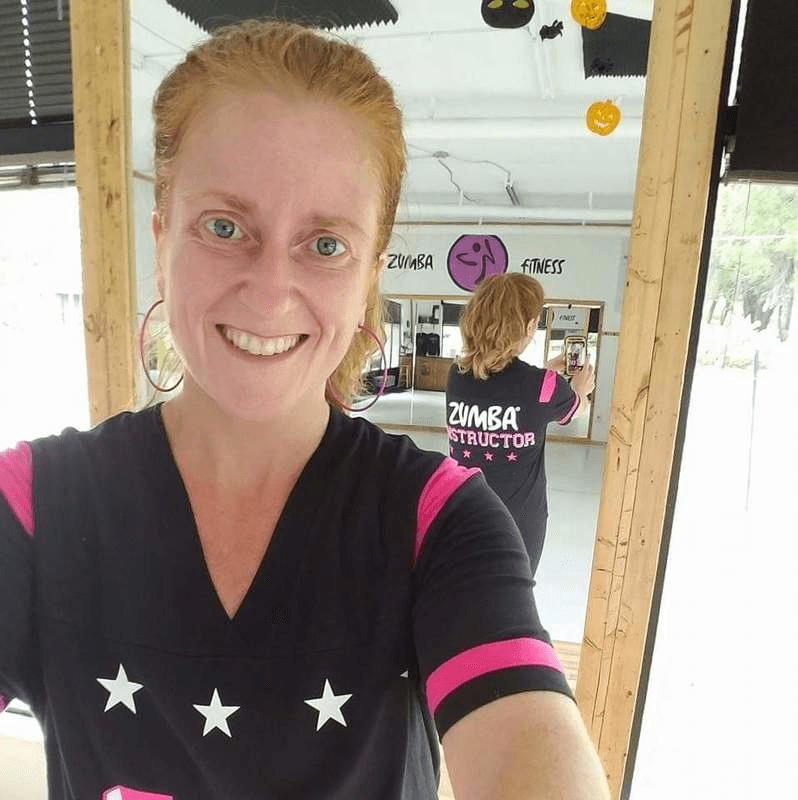 She received her license to teach Zumba in September 2012 and has been teaching ever since. Her hobbies include dancing (of course! ), spending time with family and improving her overall health/wellness while helping others to do the same. Since Mollie started teaching Zumba, along with regular exercise and eating a healthy, balanced diet, she has lost over 90lbs! Mollie is passionate about teaching Zumba. She loves the music, rhythms, interactions with her students and the way she gets to help everyone escape for those 60 minutes, dance their hearts out and have fun! “Mollie makes Zumba easy and enjoyable.” Heather, Zumba. Fall 2017.